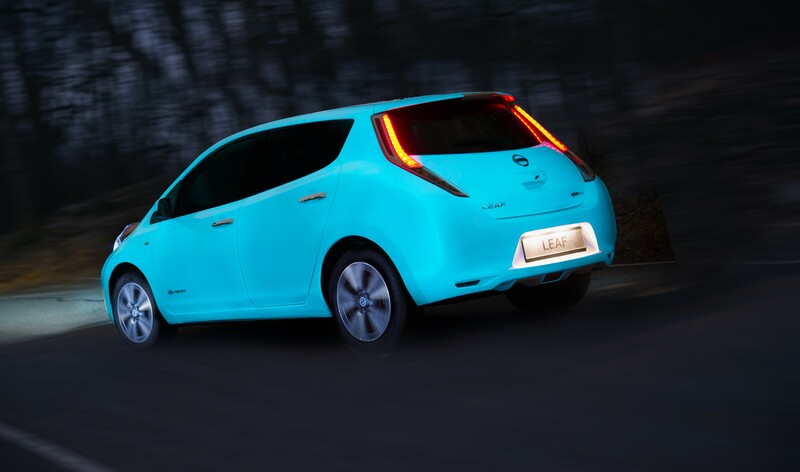 Nissan has become the first manufacturer to apply glow-in-the-dark car paint to demonstrate how its market-leading, all-electric LEAF is helping more and more people convert to solar energy at home. Nissan worked with inventor, Hamish Scott, creator of Starpath, which is a spray-applied coating that absorbs UV energy during the day so that it glows for between eight and 10 hours when the sun goes down. While glowing car paint is already available, as are glow-in-the-dark car wraps, the bespoke, ultraviolet-energised paint created especially for Nissan is unique thanks to a secret formula made up of entirely organic materials. It contains a very rare natural earth product called Strontium Aluminate, which is solid, odourless and chemically and biologically inert. With running costs of just two pence or less per mile to run, the UK’s 7,500 plus Nissan LEAF owners have reported significant savings and are using the money they save on a wide variety of items; among the more popular of these are solar panels for the home, which decreases the household carbon footprint and means owners are also effectively charging their vehicle for free. This entry was posted in Car Updates & Releases, Electric Cars, Family Car, Manufacturer News, News and Views, Road Safety and tagged Glow-in-the-dark, nissan, Nissan LEAF by David Petherick. Bookmark the permalink.